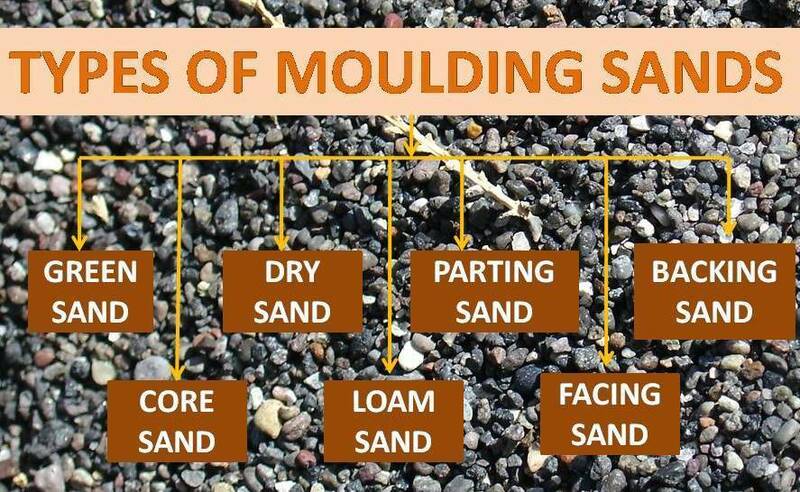 In this article we will learn about types of sands used in moulding process. Sand is mostly used nonmetallic material used in moulding. Silica Sand has good refectoriness and porosity which is desirable for mould manufacturing. It has also high strength at high temperature which make it most useful material in mould manufacturing. Basically moulding sand is the mixture of silica with water, clay and some binding agent. Different process used different types of sands. According to their uses moulding sand can be divided into following types. Green sand which is also known as natural sand is the mostly used sand in moulding. It is basically the mixture of sand, clay and water. The clay contain of green send is about 30% and water contain is about 8%. Clay and water used to increase binding strength of sand. This sand is mostly used to casting both ferrous and nonferrous material. It is fine, soft and has good porosity. This sand is easily available at low cost. If the green sand mould is baked or dried in an oven, the moisture of this mould will be evaporate. This sand is known as dry sand. It has high strength so it can be used in large casting. The mould prepared by it, is known as dry mould. Loam sand is the mixture of sand and clay with water. It contains up to 50% clay and 18% water. This sand is used for big size casting. This sand does not use pattern and the mould made by sweep or skeleton pattern. It is main sand which is in direct contact with molten metal. It is used for making faces of mould. This sand is with direct contact with pattern. This sand dose not used in other casting or the facing sand is the fresh sand and don’t reuse. It is mainly the mixture of silica sand and clay. It has high strength and refectoriness. This sand is used to back up the facing sand. The total flask in poured by backing sand after pouring facing sand. It is mainly the used sand so it has blackish in color. It is used to support facing sand. This sand is free from the moisture and clay content. 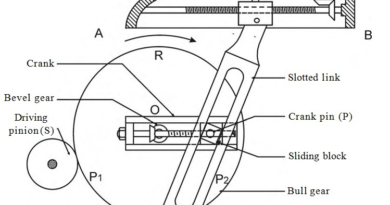 It is used to separate cope and drag. This sand does not stick with pattern. This sand is used to making core. This is the mixture of normal silica sand with oil. It is also known as oil sand. The oil used in silica sand is linseed oil or light mineral oil with binders. For large casting water is also add into the mixture of silica and oil. Today we have learned about types of sand used in moulding process. If you have any doubt about this article, ask by commenting. If you like this article, don’t forget to share it on social networks. Subscribe our website for more informative articles. Thanks for reading it.